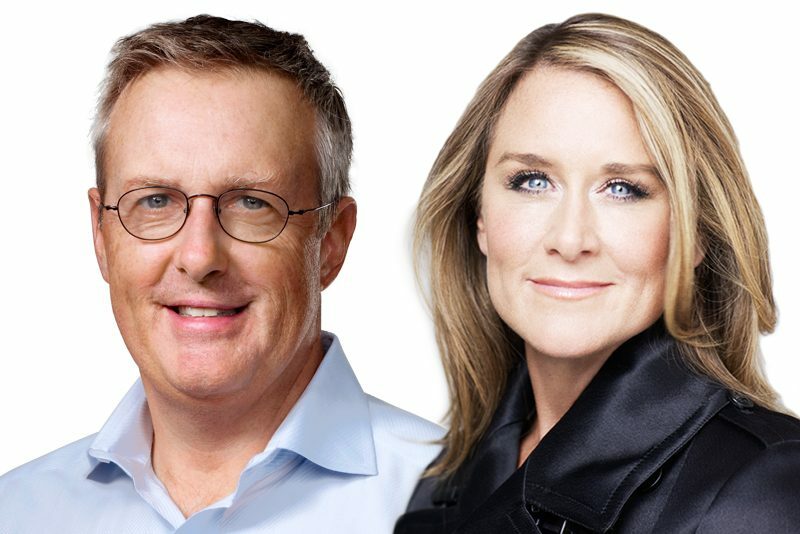 Apple's retail chief Angela Ahrendts and top lawyer Bruce Sewell each sold over $10 million in company stock over the past week, according to a pair of disclosures with the Securities and Exchange Commission. Pursuant to her trading plan adopted in February, Ahrendts sold 75,000 shares of Apple stock between May 4 and May 8, netting nearly $11.1 million based on the weighted average sale price of the five transactions. Ahrendts still owns 103,116 shares in Apple following the sale, worth nearly $16 million. Sewell sold 67,500 shares of Apple stock in multiple transactions on May 5, netting just over $10 million based on the weighted average sale price. Sewell still owns 141,325 shares in Apple following the sale, worth nearly $22 million. Ahrendts has served as Apple's Senior Vice President of Retail since 2014, overseeing the company's physical and online storefronts. Under her leadership, Apple has been renovating several of its stores, partly in an effort to turn them into community gathering places rather than just sales floors. Sewell has served as Apple's General Counsel since 2009, overseeing all legal matters, including corporate governance, intellectual property, litigation and securities compliance, global security, and privacy. He came into the spotlight last year twice during separate battles with the FBI and Spotify. Before people start claiming that this indicates a downfall coming for Apple, know that executives can only sell stock at certain times which are dictated by their contracts. They can't simply sell any time they think things are going to go bad. They must also file these sales months ahead of time. This prevents any of them from dumping their stock if they've got inside information that something bad is coming. You go ahead and short AAPL. We all bow to your great knowledge of the workings of the stock market. Why wouldn't they sell (at least some) of their shares? It's at an all time high. A big bull run for AAPL doesn't happen very often. Share buys and sells by insiders have to be announced to the SEC months ahead. So they didn't know the shares would be at an all-time high. If they _knew_, it would have been insider trading. In reality, these people just have lots of share options, and since you can't buy a house, a car, or anything else with share options, they sell some from time to time to buy whatever they want. I agree that the timing isn't a big deal, but you should pay attention to the fraction of their stock they sold: If they believe the stock price will be going up, they'll sell a smaller fraction of their shares than if they believe it's peaked. Oh, there's another one. These sales were submitted to the SEC months and months ago. What these people think about the share price today is completely irrelevant. What they thought six months ago is relevant. A company executive can't just say "I think the share price is high today, I'll sell some shares". And the number of shares sold don't depend on where they think the share price will go. It depends on how much cash they want to be able to buy things. Not pitiful. Only certain people, even in the richest country at its richest point, can park $500 like that. Very few in the world, overall. And, over world history (adjusting for historical currency values) you're downright rich. I have non-impoverished friends in Mexico with decent standards of living who just laughed and laughed at me when I proposed they take a $300 flight to visit me in NYC, though it's been the dream of their lifetime. $10 Mil for watch bands, not bad. In all seriousness, this shows that Apple is a normal, large corporation, not a special progressive utopian organization. Their top brass get compensated with eye watering amounts of money just like the rest of the 1%. I'm not indicting the free market system as we don't have one. 100,000 shares of AAPL. That's insane. Being a top manager at a FTSE 500 company is pretty damn lucrative. You're an instant multi millionaire. For all we know, they're each getting thousands of more shares, in the near future, as part of their comp plan. Keep in mind, selling shares (and working hard to make the stock price grow), is essentially part of their pay plan. They probably have relatively low salaries, and the Apple board expects them to sell stock in order to make their overall salary package competitive with similarly-paid positions in the industry.